What if you really, really, really liked yourself? What if YOU were your own biggest fan? What if you knew it really isn’t that difficult and is 100% in your control? Increasing your self-esteem is about bringing the biggest and best you to all areas of your life. When you bring the biggest, best version of you to the world, everybody wins: your significant other, your kids, your family, your business or career, and your community. Every little decision contributes to how you view yourself. It’s time to turn the tables in your favor, every day and for the rest of your life! And to continue moving forward on your journey to success and high self-esteem, download the author’s companion workbook at reneecermak.com. How to Be Your Biggest Fan! receive your FREE chapter preview. If you have the ebook or don’t want to write in your book, download the “How to Be Your Biggest Fan” companion workbook. Our most inspiring testimonials from our readers. Well written, easy reading and very interesting. We all need to be our biggest fan yet how many of us actually are? I know it’s something I have struggled with all of my 60+ years! Highly recommend the read. This is the perfect book if self-esteem is your priority. Cannot wait for my children and employees to read as well! Renee Cermak writes in a clear and easy to read format, detailing how self esteem is reflected, created (and diminished) by daily actions. It’s a nice ‘guidebook’ for how to increase your self-love in very specific ways, as well as why you should care so much (which, you definitely should). The concepts are very specific and easy to apply to your life immediately. After reading this book, I definitely feel like I have some concrete tools and strategies to work toward creating a bigger life where I feel empowered to take greater risks (with greater reward). I’m setting goals I never thought I would and MEETING them because of the concepts in this book. 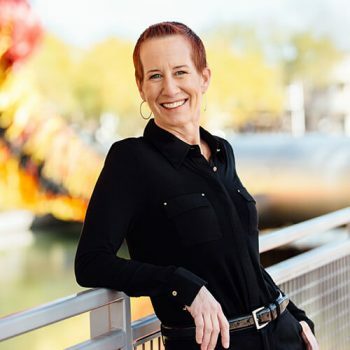 Renee Cermak is a phenomenal coach, whose seminars I’ve taken, and have recommended to my family and everyone that I know. The concept of being my biggest fan was new to me, since self-criticism was my go-to habit. It took a lot of hard work to start loving myself. 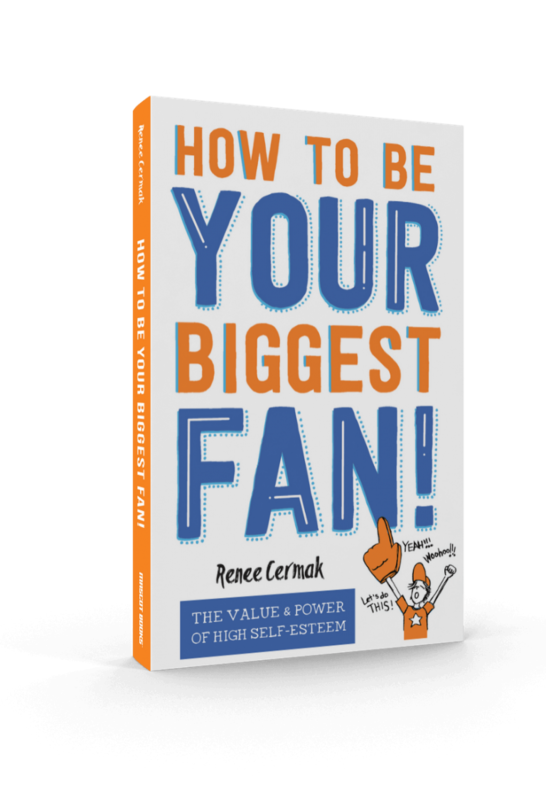 When I first heard about the idea of being my biggest fan from Renee Cermak, it was more a goal then a real possibility. And the nice thing about it is that this goal can be achieved…. The book “How to be your biggest fan” is very well written. It is clear, fun, and presents original ideas that make a lot of sense. It is a book that is easy to read, and sure is one of those books that you want to keep, and revisit in different times. I loved how the writer brings a lot of her own stories to demonstrate her ideas and theories. These gives us an opportunity to look at our own daily events and see how our self-esteem is reflected in everything that we do. The writer explains in this book that once we are aware of our self-esteem, we can change it if we want. We have a choice. I surely can see the benefits of being my own biggest fan. Improving my sself-esteemis an opportunity for me to grow in every area of my life. We all want to have this book and revisit it to make sure that we don’t forget to keep on being our own fans, and to teach our children to be their own fans as well. I highly recommend this book. 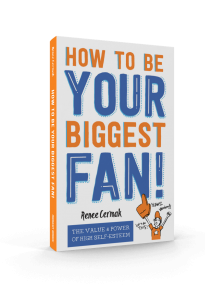 My friend Renee Cermak just launched her first book, How to Be Your Biggest Fan this morning – and it’s a must read! Renee is a woman on a mission to improve the self-esteem of adults across the country.